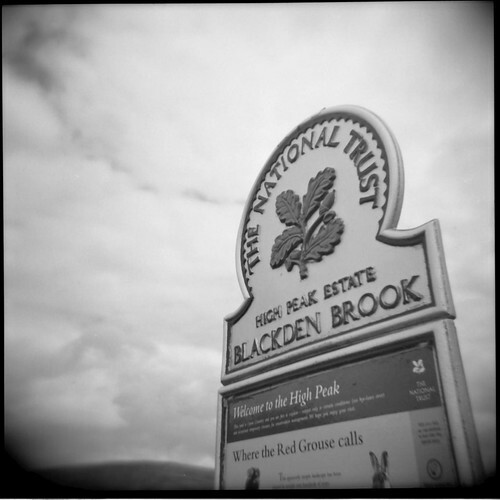 You might remember my trip to the Dark Peak with my Holga and the fun I had taking the back off the camera halfway through the film. 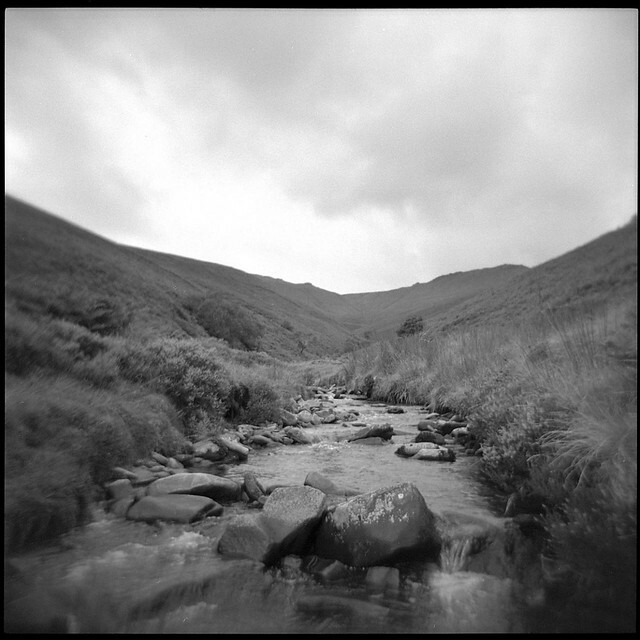 The Holga doing its stuff. Sharp and blurred. High contrast and low – all on the same frame. 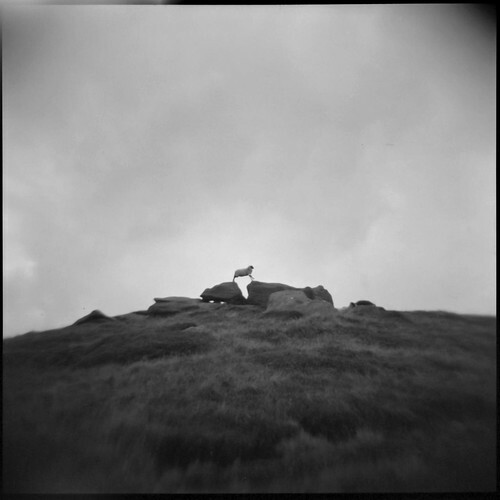 I crept up on the gymnastic sheep. As I did, it gave me that look that said “you know, i’m gonna move before you get into range of your daft little camera…”. Next Only A Mother Could Love It.